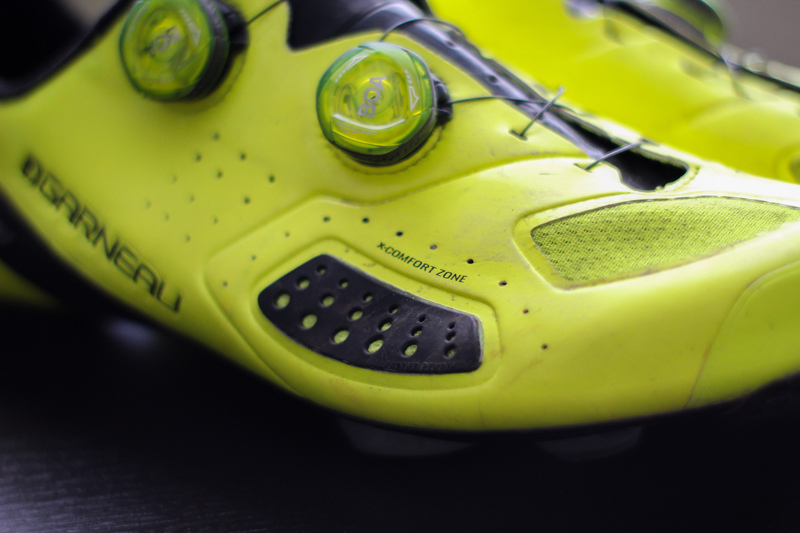 The Course Air Lite II is Louis Garneau’s top of the line road cycling shoe and is full of all the premium features you expect from a shoe that will set you back $450 plus a couple bonuses that you don’t get from other shoes even at this price. I had the opportunity to test out the Course Air Lite IIs, which are available in 4 colours, over the past couple of months and here are my final thoughts on this shoe. Included with the Course Air Lite IIs are 2 interchangeable insoles, one vented for warm weather and the other not vented for cool weather, and 3 adjustable arch supports (low, medium, and high). These are some nicely thought out extras that you don’t get with other shoes, especially the adjustable arch support because a properly supported foot is going to mean better power transfer. 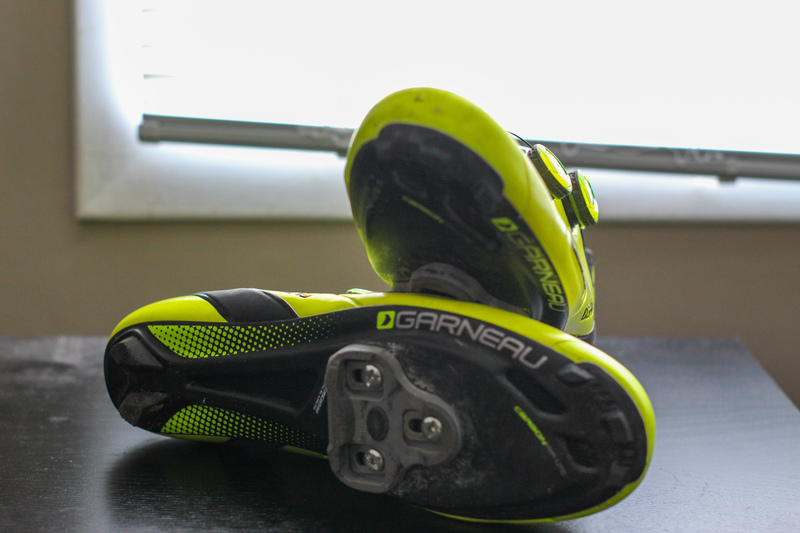 Louis Garneau’s inclusion of interchangeable insoles, different arch support, and the innovative X-Comfort Zone really shows a consideration for eveyone’s foot not just the average or “athletic” foot. Part of this consideration includes a very roomy toe box making the Course Air Lite II a good option for riders with a wider foot. I found that because of the extra space, I could have gone down a shoe size from my regular 44 to a 43. As you would expect from a premium shoe, the Course Air Lite II features a carbon sole that provides excellent stiffness and power transfer. The shoe also has a very grippy heel cup so there is no fear of your heel slipping out of the Course Air Lite II during those hard efforts. Retention is taken care of by the always excellent Boa enclosure system. 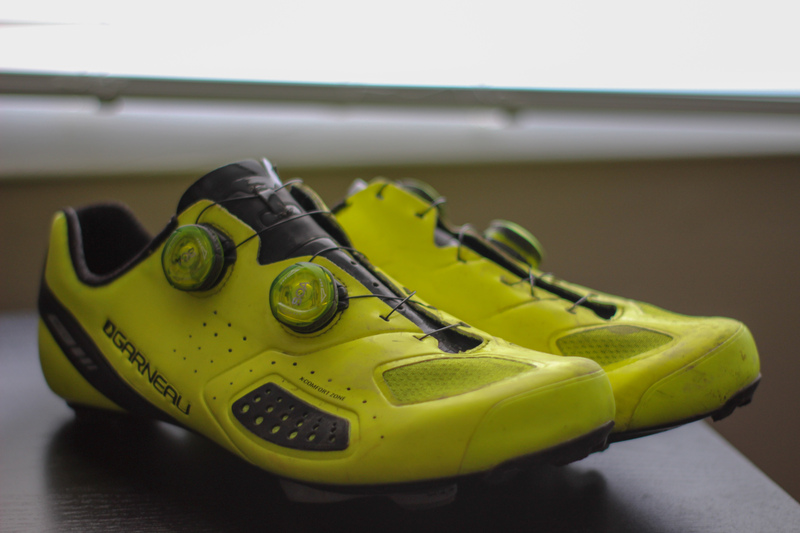 The majority of premium cycling shoes have a narrow, “athletic” foot and only work for a small portion of the population. But the Louis Garneau Course Air Lite II bucks that trend with a fit that is designed for the people Along with a stiff carbon sole and a grippy heel cup, the accommodating fit of the Course Air Lite II makes it an excellent option if you are in the market for a premium cycling shoe, especially if you have a wider foot.